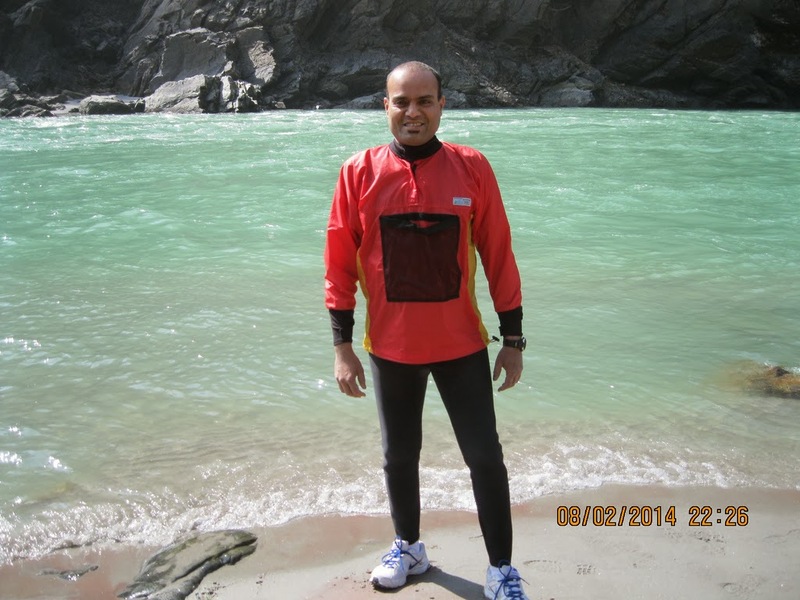 One of the items in my bucket list was to raft and swim in the Ganga. So, when I learnt that Rishikesh, which is situated on the banks of the Ganga, is only an hour's drive from Dehradun where NephroPlus had two dialysis centres, I got all excited. I finally got a chance to visit Dehradun this month during my trip to North India. 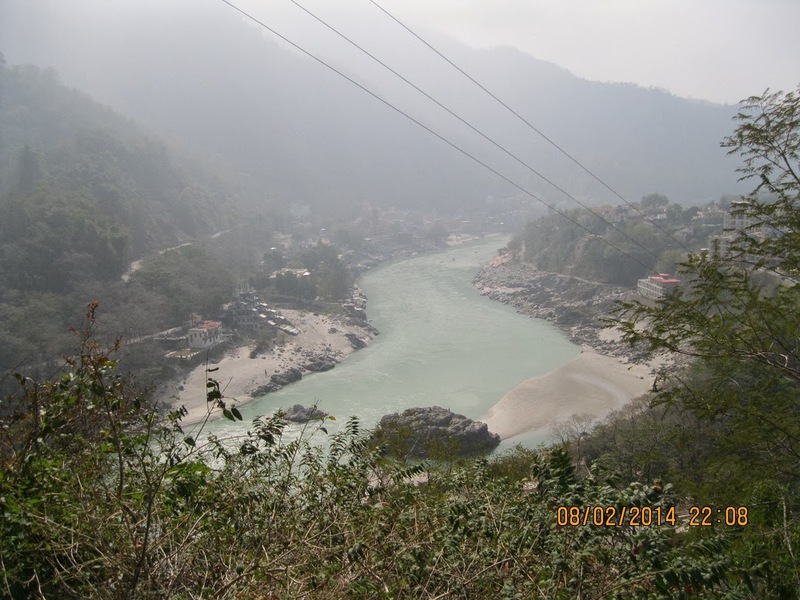 I finished off all my work in Dehradun by Saturday night and took a cab to Rishikesh on Sunday morning. I had already talked to a company called Paddle India that had very good reviews on Trip Advisor. They seemed to be very professional and had an excellent safety record. I asked to be booked on a rafting trip that had Grade 1 and 2 rapids and nothing more! I really wasn't sure if I would be able to handle anything more than that. I had not done a whole lot of rafting before and wanted to go easy the first time. I reached the appointed place on time and they gave me a suite and a jacket that would keep the water out. Once I had changed, we drove to a place called Brahmapuri. I got my first view of the Ganga on the way and it was completely mesmerising. We got off at one point and trekked downhill to a very serene place on the banks of the pristine, yet mighty river and had to wait till the raft arrived. 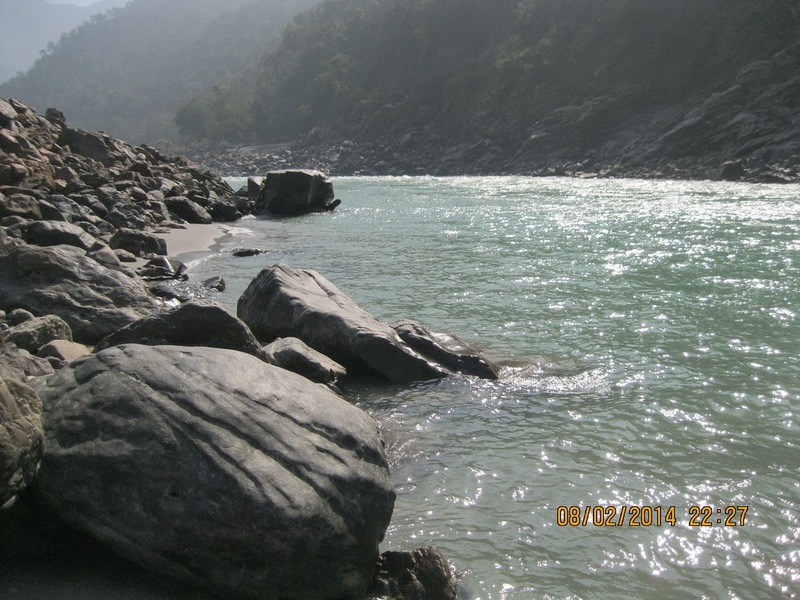 The Ganga was really beautiful with a light green hue that calmed the eyes. Very clean, very pure. When the raft came, I was given some instructions by Shiv, our guide for the day. There was an American couple already on the raft. We headed out. Shiv was very cognisant of the fact that city dwellers are not always in the best of fitness! He would goad us to paddle a little and give us a break. It was a fantastic experience! There was a calmness in the waters that is impossible to describe. At one point, I asked Shiv if I could swim in the river. He stopped the raft and asked me to take off my shoes and go in. I excitedly removed my shoes and socks and just jumped into the water! The first touch of the river was awesome! The cold water against my body was a different experience altogether. The cold was somewhat reduced because of the suit I was wearing. I started floating thanks to the life jacket and the flow of the river took me along with it. I swam a little and floated a little, feeling the cold water and relishing every moment. 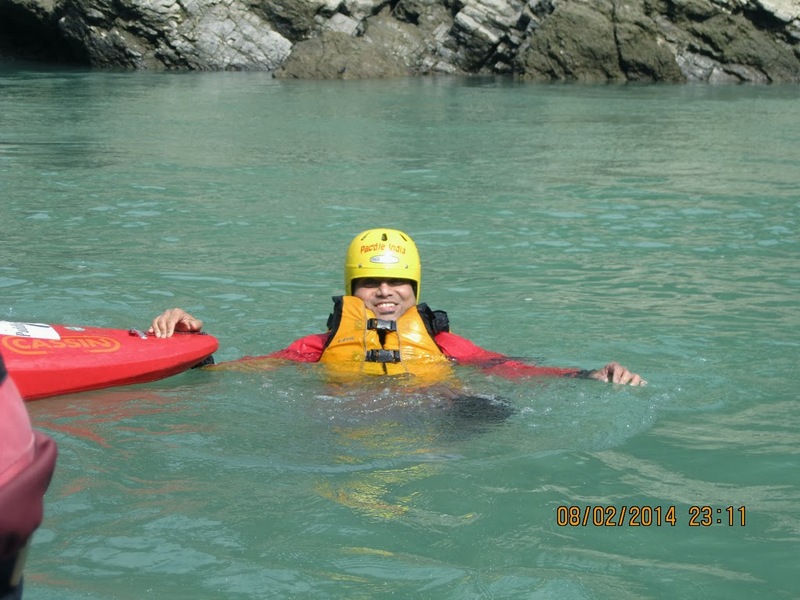 There was a rescue kayak with an expert, Darshan, that was always around to handle any untoward event. I continued to swim along the flow of the magical river while the others rafted behind me. After about half an hour, I started to feel really cold and asked to go back into the raft. Shiv, expertly pulled me back into the raft. I had really enjoyed the swim! The rapids during the rest of the journey were fairly exciting. Nothing heart-stopping but fun nevertheless. I had what I could probably call, one of the best couple of hours of my life! Nice article, I also want to do rafting in rishikesh once. thanks for sharing your experience with us. Kamal...v nice article.. I totally agree with sandeep. I always visit ur blogs whenever iam feeling low...like my torchlight which glows...( after charging ) v brightly...I am back to my cheerful disposition... God bless!! !